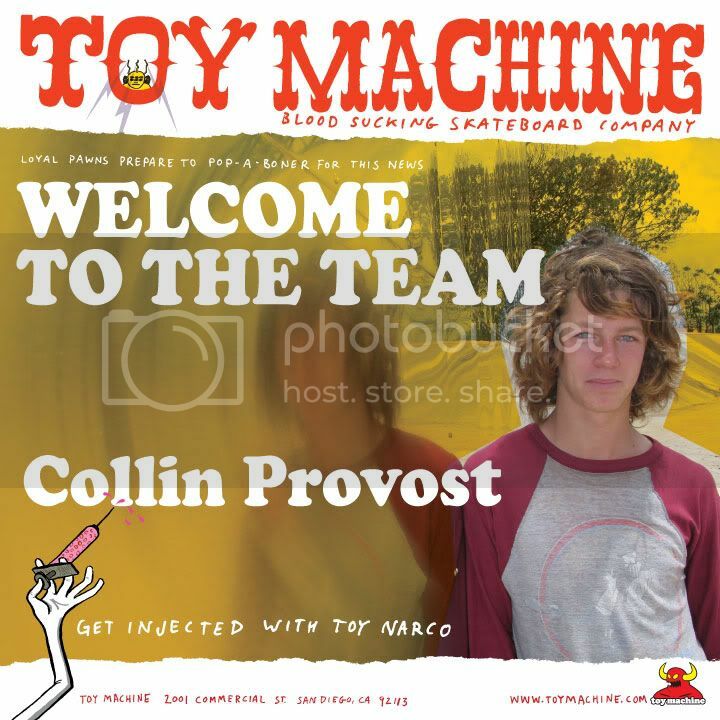 Collin Provost is an Amercian skateboarder. Mob Grip rider Collin Provost sets up a freshie and hits the local MLK Park in Long Beach, CA in this Episode of Talkin Mob! Emerica Proudly Presents The Provost. Collin Provost gets weird at the Vans ramp while wearing Emerica shoes. Homies section from Shep Dawgs 5. The following 15 Park Series Select Pros will meet the five highest ranked skaters to emerge from the Vans Park Series Global Qualifier system. Here are the results and footage from Thrashers King of the Road contest. The Volcom skate team went on a summer tour to Europe last year. Here is the footage.